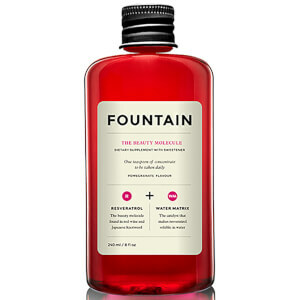 Fountain The Beauty Molecule is a highly concentrated supplement that helps to promote health, youth and longevity, both on the inside and out. 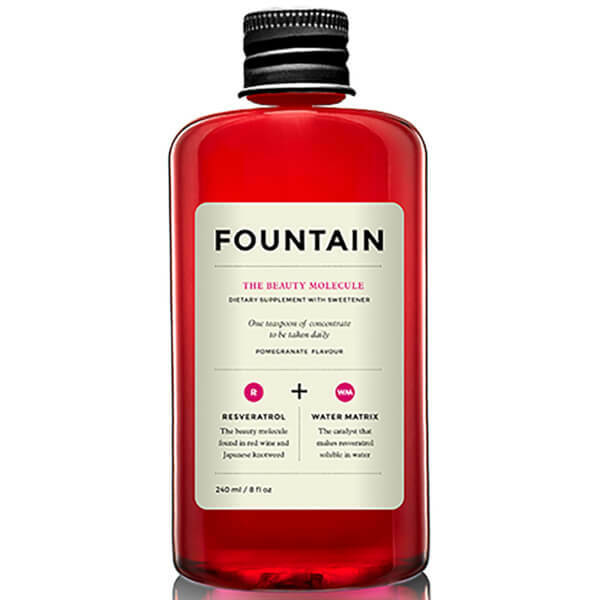 Boasting a delicious pomegranate flavour, each 5ml serving of the supplement provides 40mg resveratrol, a natural phenol that's found in the skin of red grapes and in Japanese knotweed which has been proven to offer the longevity effects of calorie restriction, promote normal cell division and offer excellent antioxidant and anti-inflammatory properties. The water-soluble resveratrol is set in a proprietary water matrix delivery system for maximum absorption, whilst the vegan-friendly hyaluronic acid base promotes youthfulness. 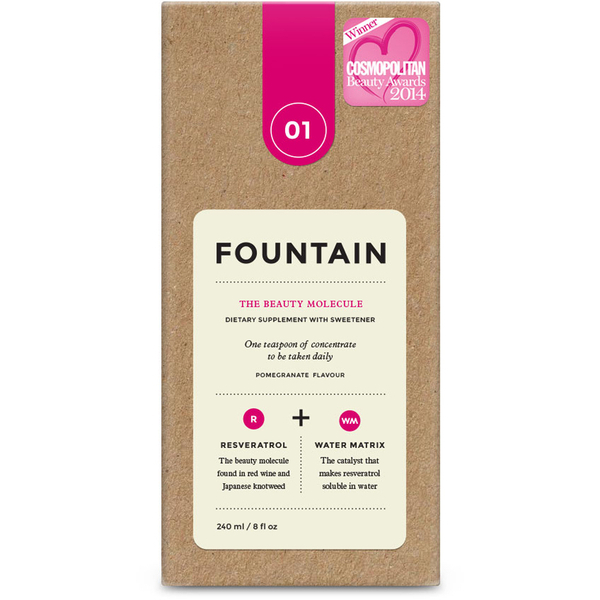 Free from artificial colours and flavours, the supplement is suitable for both men and women. - L.M. Agave Syrup, Water, Polyglycerol Esters of Fatty Acid, Preservative Citric Acid, Natural Pomegranate Flavour, Japanese Knotweed, Black Carrot, Antioxidant Absorbic Acid, Preservative Potassium Sorbate, Preservative Sodium Benzonate, Hyaluronic Acid.